This year marks the centenary of the Representation of the People’s Act of 1918, which granted property-owning women over the age of 30 the right to vote. The anniversary is being marked by various events across the country, all acknowledging the contribution of women to their communities, not only in the years leading up to the 1918 Act but also further down the ages. The first of those to be celebrated in Gloucestershire is the Mercian Queen Aethelflaed, born around 870 and the eldest daughter of King Alfred the Great, who laid the foundation of the Anglo-Saxon kingdom of England. Aethelflaed (depicted above in Abingdon Abbey) grew up in a time of bloodshed and perpetual war, with the Anglo-Saxons fighting for survival against Viking raiders from the north. East Anglia and Northumberland were quickly overrun by the Vikings but Mercia was partitioned between them and the English. However, in 870 Alfred won a crucial victory at the Battle of Edington, enabling him to gain control of the west of Mercia (being the present day West Midlands and more specifically therein the valley of the Trent), and its capital, Tamworth. He took the title of King of England, claiming the right to rule over all the English tribes not under Viking control. 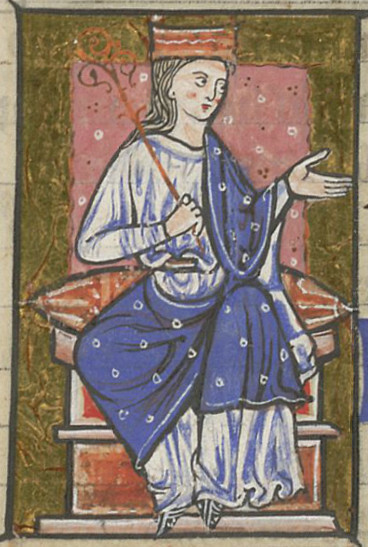 Alfred married his 16 year old daughter to the powerful Mercian chief Aethelred, who made her his co-ruler – an unprecedented position for a woman to hold at that time. She showed her mettle early on: on her way to her wedding her entourage was attacked by a Viking hoard, but she put them to flight, rallying her men successfully after the initial shock of assault. Having taken command she arrived in Mercia in triumph. After the death of her father, now Queen Aethelflaed proved to be an astute leader and strategist. She built new defence encampments at Bridgnorth to deny Viking access to the River Severn, and at Stratford to cover the Trent valley. She also fortified Runcorn to prevent Viking access to the Mersey and the rich pickings of the Cheshire plain. In 917 Mercian armies captured Derby, the first of the five boroughs of the Danelaw. The following year Leicester surrendered to the Saxons. After this, the city of York, the very seat of Viking power, pledged its allegiance to Aethelflaed. The Viking hegemony in England would never recover from it. Historically, women are not usually remembered for their prowess as hands-on military commanders, but to her Viking and Saxon contemporaries Aethelflaed’s leadership in battle might not have seemed so unusual. Recent excavations near Repton, Derbyshire, have recovered the grave pits of a Viking army. Of the 264 hacked skeletons recovered, 20% were women. Contemporary chroniclers record her as being pious and a devout Christian. She took care to grant land and privileges to the church and their monastic foundations, encouraging the collection and preservation of holy relics. These latter usually included the bones of saints for public exhibition, thus encouraging popular belief in the power of the Christian church to perform all manner of of miracles and the idea that God was on the side of the Saxon armies. Aethelflead died on 12th June 918 at Tamworth in the castle she had built and was interned in Saint Oswald priory, Gloucester, which she had founded around 900. Her gravestone lies in Gloucester City Museum.